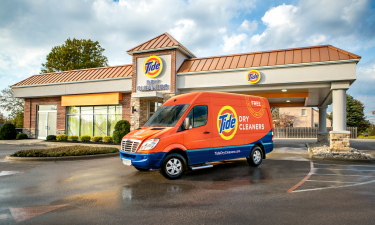 Tide Dry Cleaners offers a wide variety of services, including cleaning and care for life’s most special garments. Have your wedding dress, formal wear, and family heirlooms cleaned and preserved to enjoy for years to come. Garments containing things like sequins, beads, glitter, leather, or shoulder pads require special care to protect the style and quality of the garment. Most buttons present no problems in the cleaning process. However, some buttons are fragile, so you may want to avoid purchasing garments with such characteristics. Although there are solvent resistant buttons, some manufacturers continue to use polystyrene buttons that dissolve in dry cleaning. Leather is a popular material for jackets, sweaters, skirts and pants. Manufacturers are careful to use suede or leather trimmings that do not bleed, but fabric bleeding will occur if there is a dark colored trimming in combination with a light fabric. 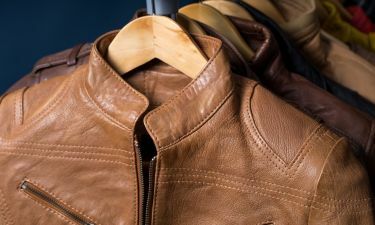 Items trimmed with real leather, leather covered buttons or buckles cannot only lose dye, but break from friction and rubbing in normal wear or routine dry cleaning. This problem usually occurs because the manufacturer used an inferior leather covering where the cleaning process may have accentuated the condition. 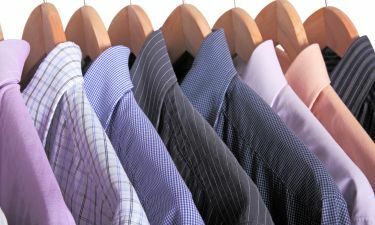 Make your dry cleaner aware of your knowledge of the issue and your concern that if the trimming is unserviceable it should be returned. Cleaning sequined garments can vary based on the material used and the method in which the sequins were attached. While most beads are made of glass, many others made with other materials and require extra care. Plastics may dissolve, wood can crack and loose dye could transfer to the garment. Glitter may detach from the garment in normal wear or the adhesive that holds it may dissolve in dry cleaning. Mini mirrors also present cleaning challenges. They are often clear silver-coated plastic pieces adhered to a fabric. This adhesive that holds on the silver coating can dissolve in dry cleaning, thus resulting in the loss of the mirror affect. Tide Dry Cleaners is proud to be the #1 rate dry cleaner. Stop by one of our stores to inquire about your specialty garment and the care that can be taken to protect it for years to come.